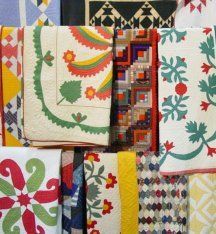 One of my favorite things about going to Quilt Market in Houston is shopping Cindy Rennell’s booth full of antique quilts. 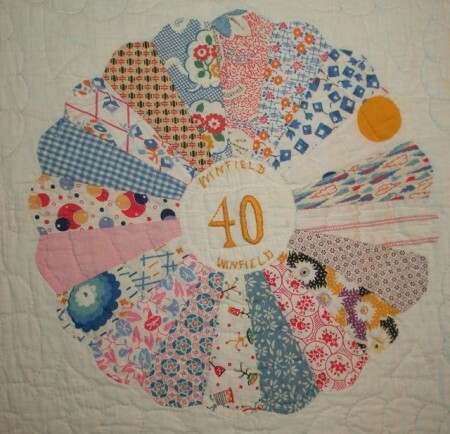 She always has so many treasures. 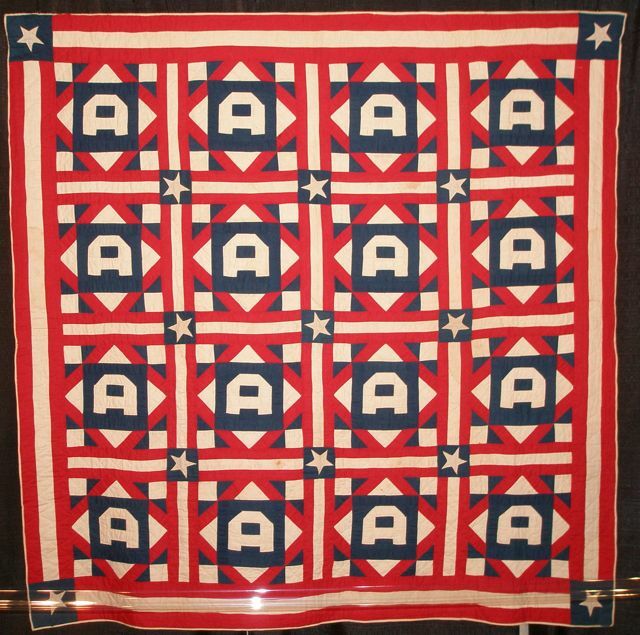 This Market, not only did I get to drool on all the quilts in her booth, I also discovered that she had an exhibition in the quilt show of antique patriotic quilts. 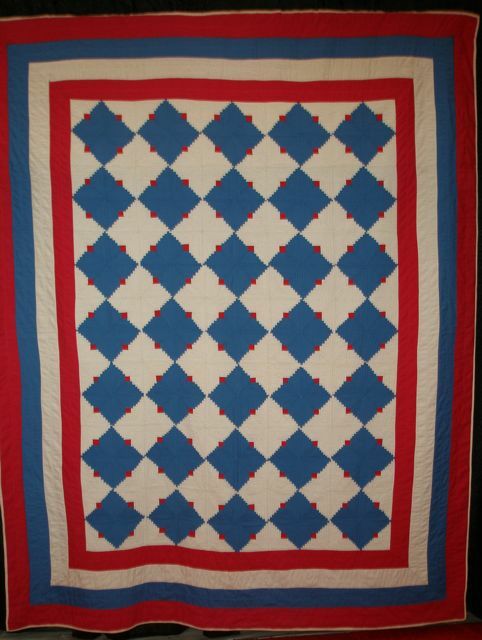 I’ve collected a few patriotic quilts, and it was a thrill to get to see the quilts in her collection. 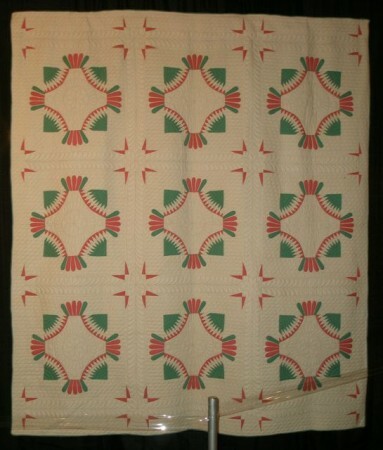 I took lots of pictures so I could share them with you. 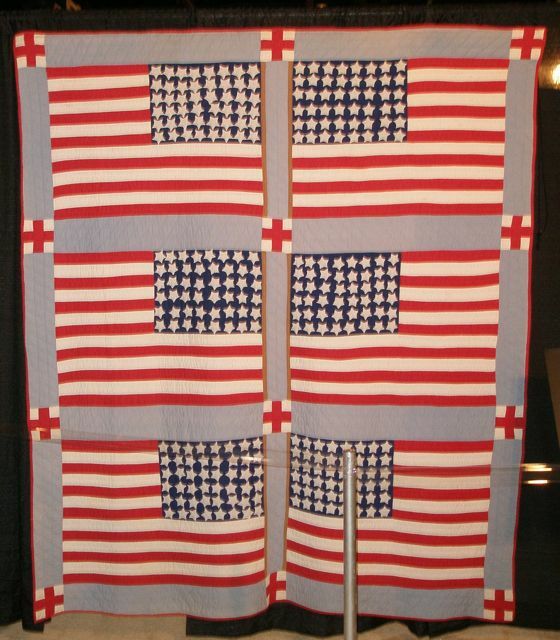 New York Flag Quilt c. 1900′s. 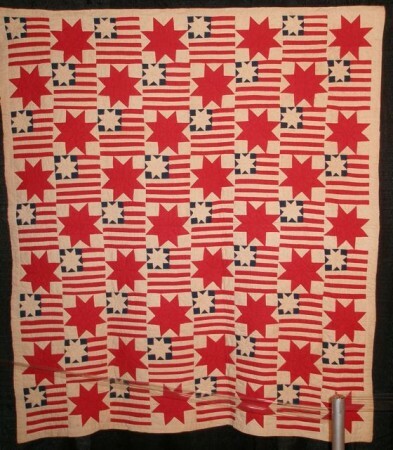 Stars of Stripes, also known as Liberty Star, c. 1940′s. 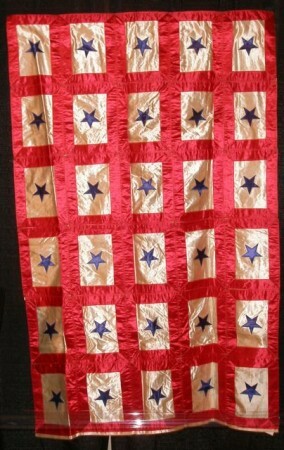 Five Point Silk Stars, c. 1940′s. 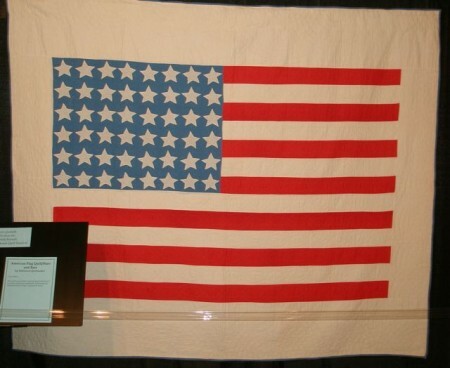 Patriotic Star made during WWII. 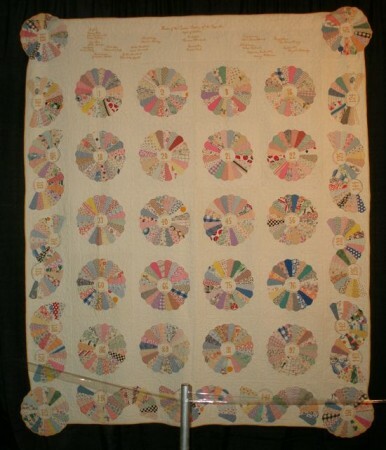 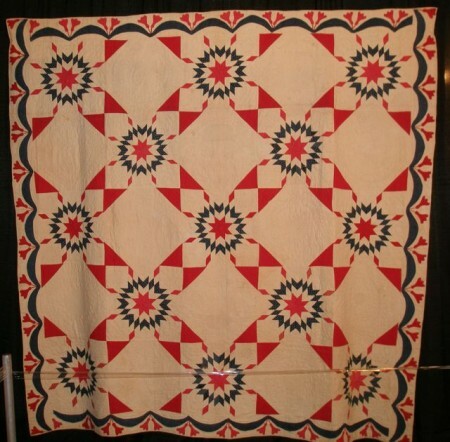 Commemorative Ladies of the Grand Army of the Republic Dresden Plate Quilt, c. 1930′s. 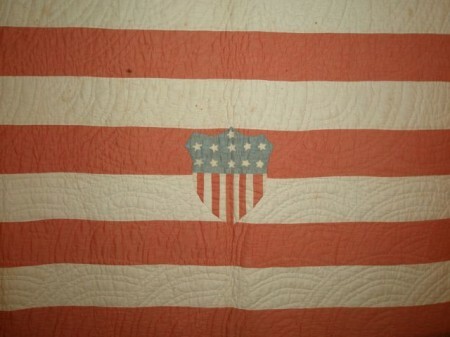 The Grand Army of the Republic was an association of the Union veterans of the Civil War. 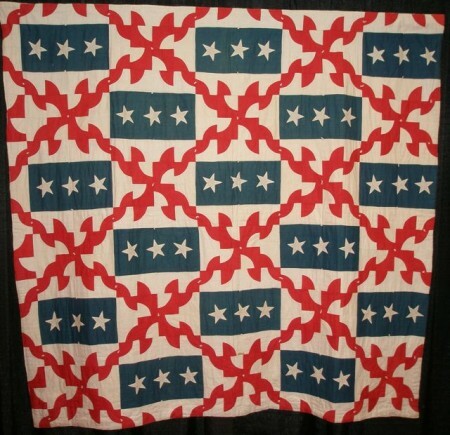 The Ladies of the Grand Army of the Republic was the women’s auxiliary of the GAR. 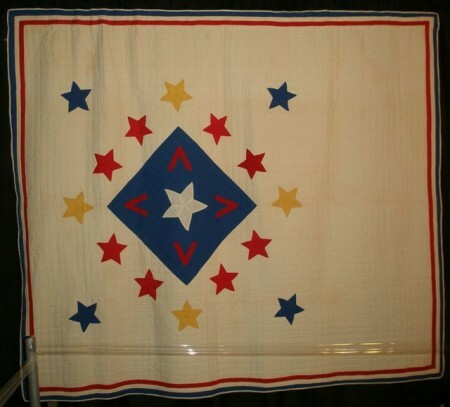 This quilt has the town/location and post in the state of Kansas embroidered on it. 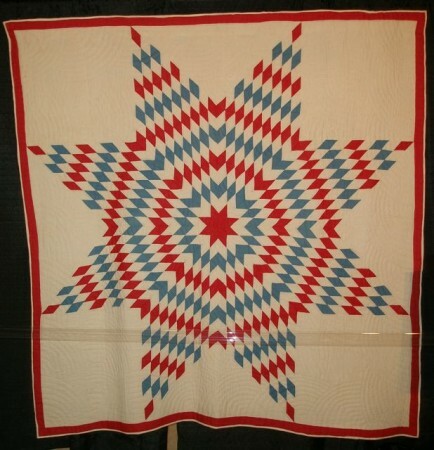 Six Point Stars with Triple Border, c. 1940′s. 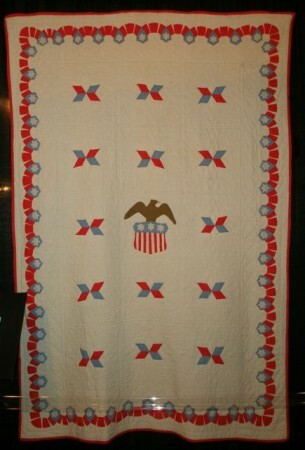 Eagle and Shield and Stars, c. 1940′s. 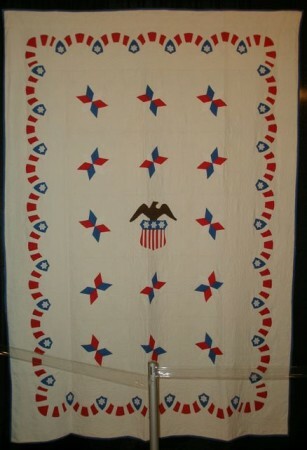 Eagle and Shield and Stars, c. 1940′s. 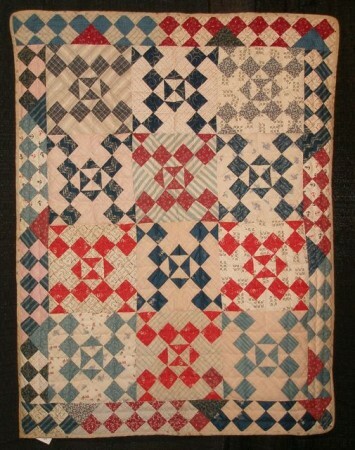 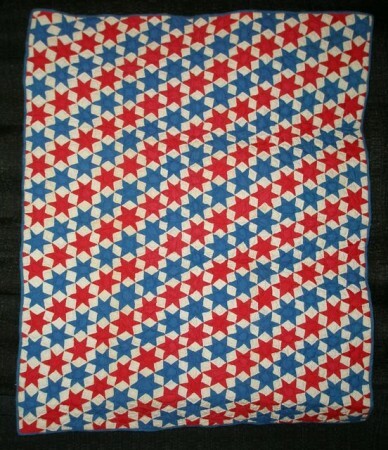 This is just like the quilt above, but note the differences made by different quiltmakers. 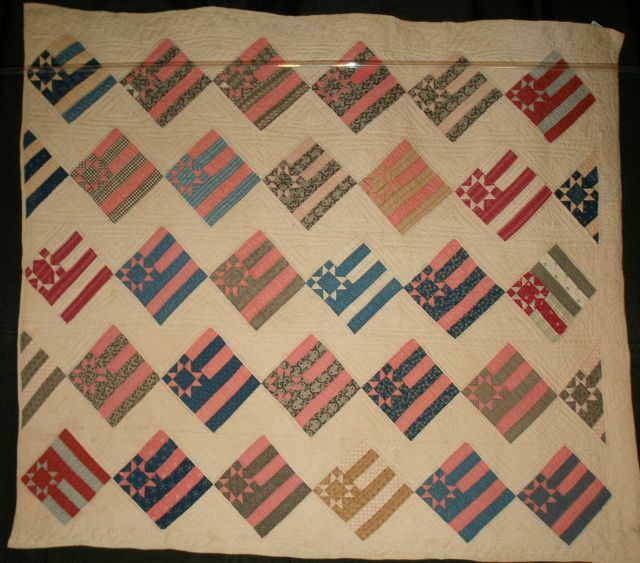 Victory Quilt, c. 1940′s. 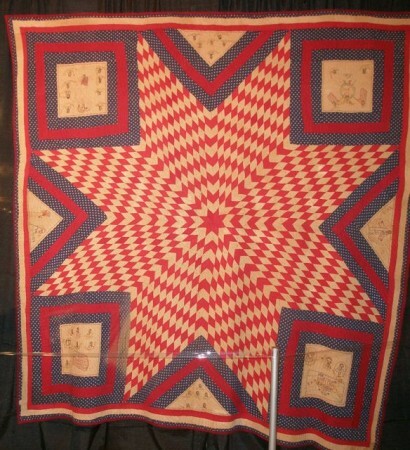 The white star in the middle is a sign of hope. 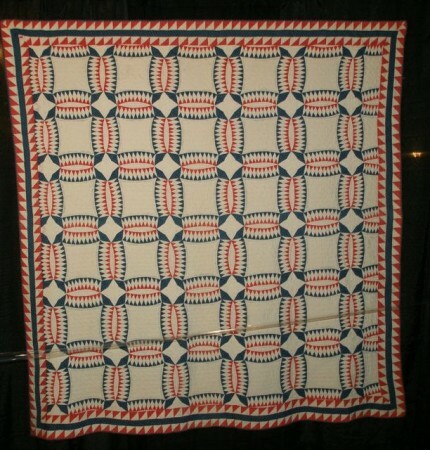 It is surrounded by V’s for Victory. 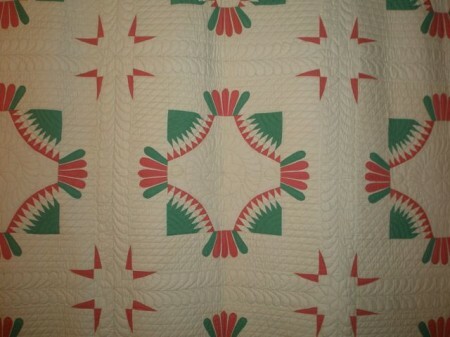 Star and Wreath, c,. 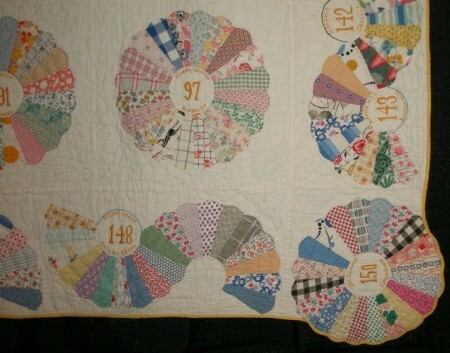 1900′s. 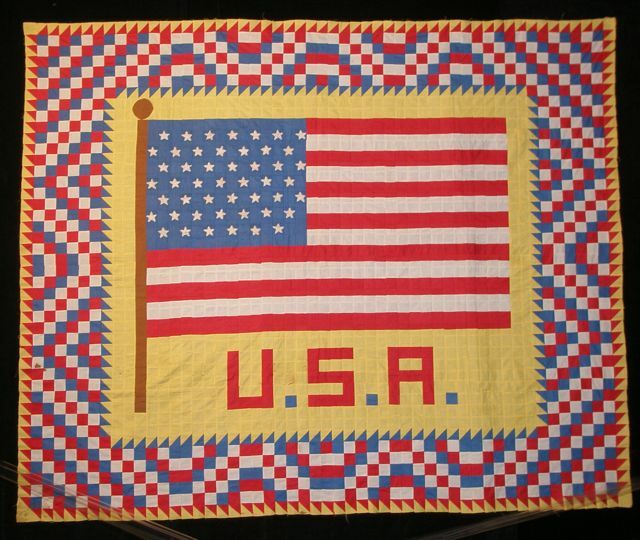 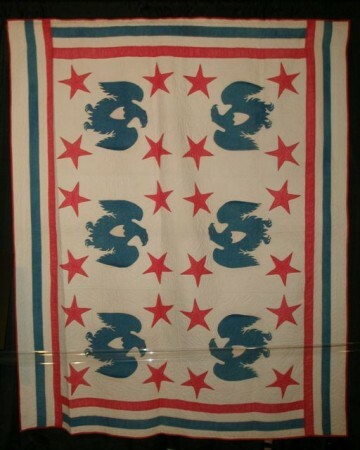 USA Flag Quilt by Ralph Syverson, Cordell, Oklahoma, c. 1940′s. Flag Quilt by Home Demonstration Club, Pleasant View, Arkansas, 1942. 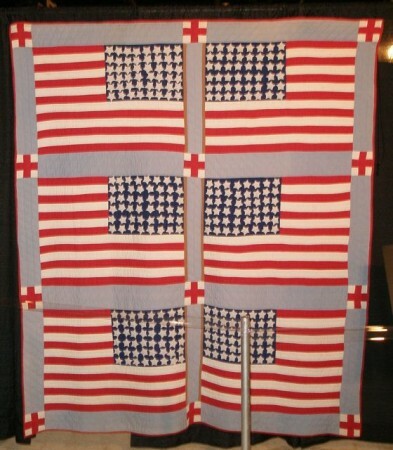 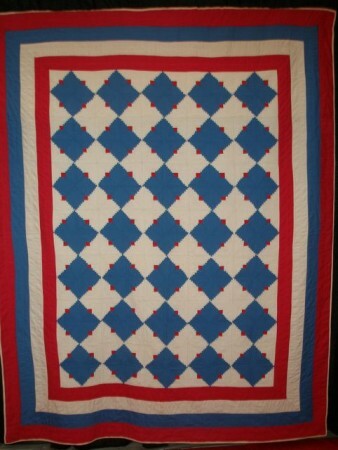 This quilt was made as a fundraiser. 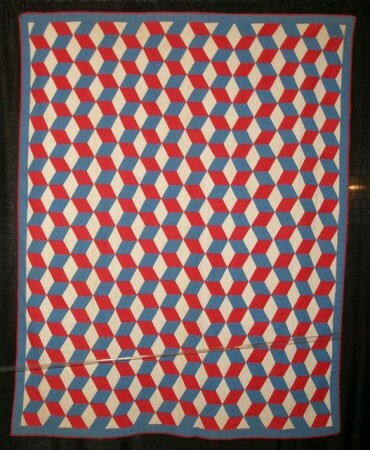 Tickets were sold for ten cents each. 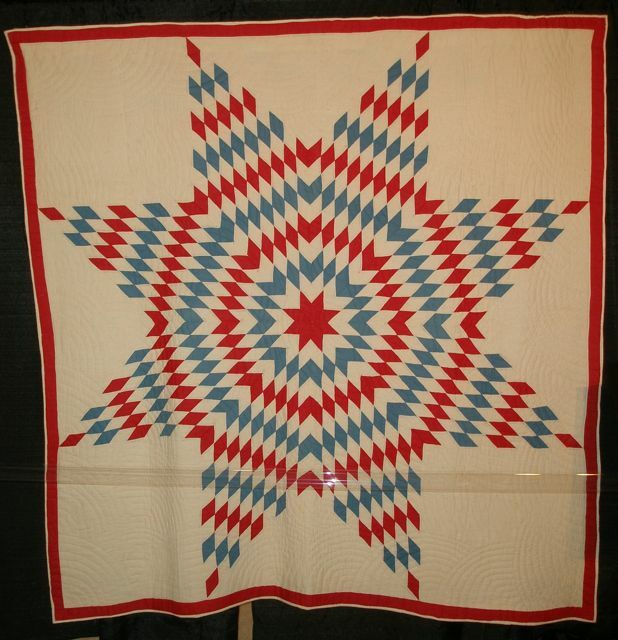 Eagles and Stars by Clara Banks, c. 1850′s – 1860′s. 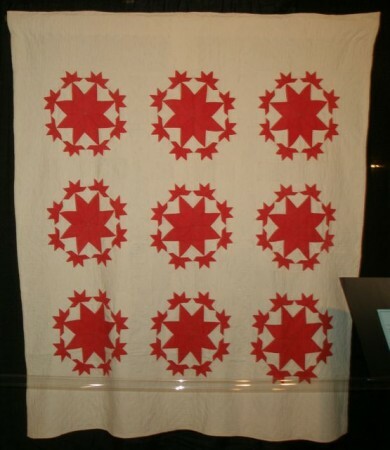 Six Point Connecting Stars Crib Quilt, c. 1930′s. 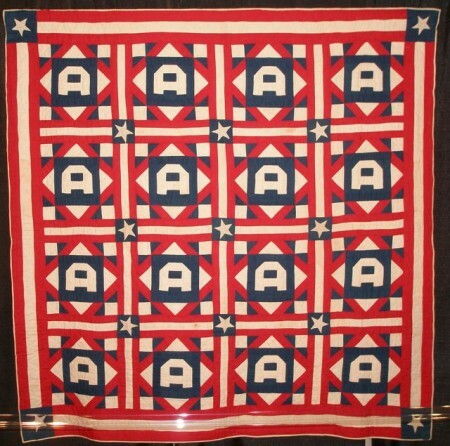 American Flag Quilt, c. 1930′s. Mosaic Crib Quilt, c. 1880′s. 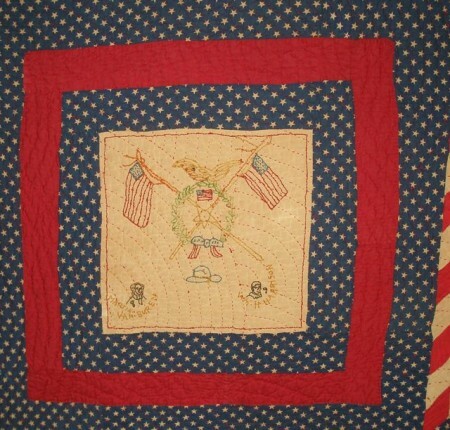 Four Block Eagle Applique, c. 1880′s. 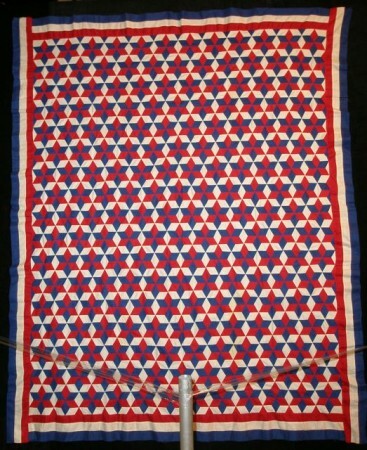 Eight Point Connecting Stars with Swag and Tassels Border, c. 1860′s. 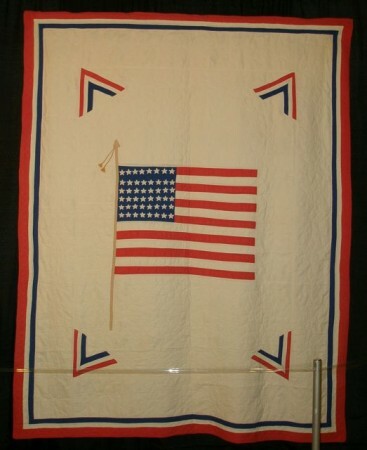 Victory Flag, Lola Boyer, c. 1930′s. 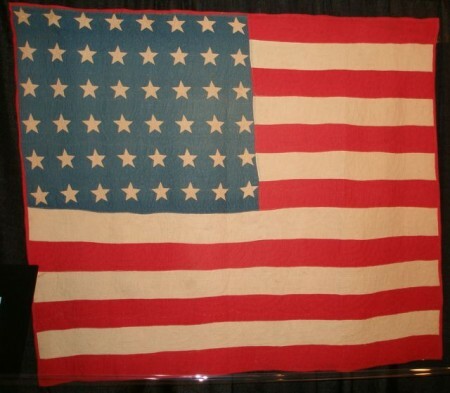 This is a 48 star flag with the ‘V’ for Victory added. 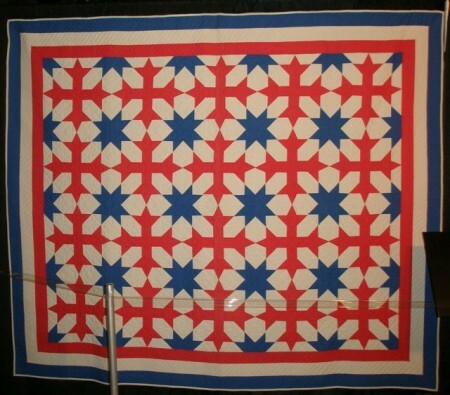 Star and Cross with Triple Border, c. 1940′s. 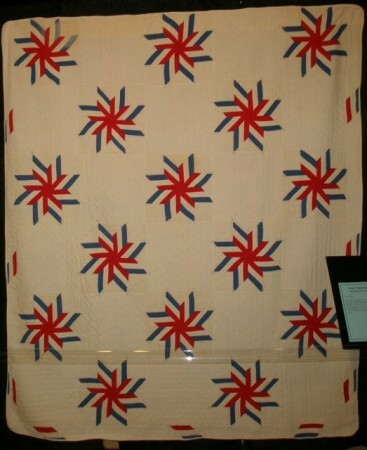 American Flag Quilts/Stars and Bars, c. 1940′s. 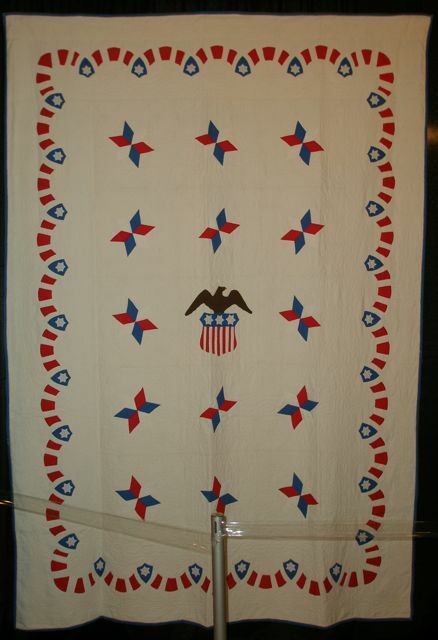 Stars, Bars and Shield Patriotic, dated 5-21-19. 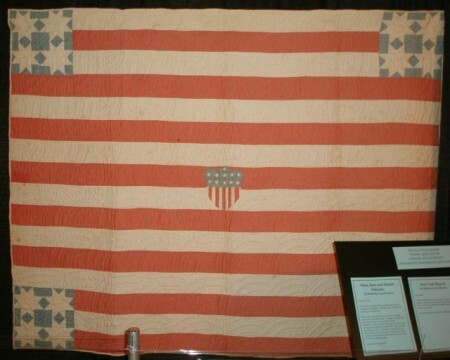 New York Flag Number 2, c. 1890′s. 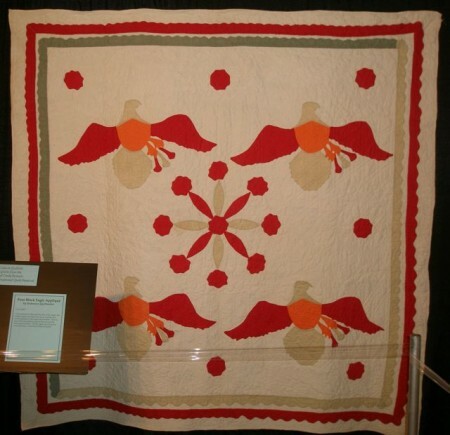 The last two quilts are from the collection of International Quilt Market.